Fireplaces are essential additions to homes in colder regions. Fireplace not only provide you warmth in winters but they also add elegance to your home. With the advancement in technology, there are a wide range of fireplaces available in the market and as a result, you can choose the one that best suits your setup. The history of the fireplace goes back to thousands of years. Fireplaces are used not only to provide fire but there are multiple other benefits that you get out of these. Mentioned below are some of the most common types of fireplaces available in the market. Wood Fireplace: Wood fireplaces are the most common ones that are available in the market. However, for a wood fireplace you need to arrange for a dedicated place for chimney, flue, firebox and at times even floor supports so that the weight can be supported properly. 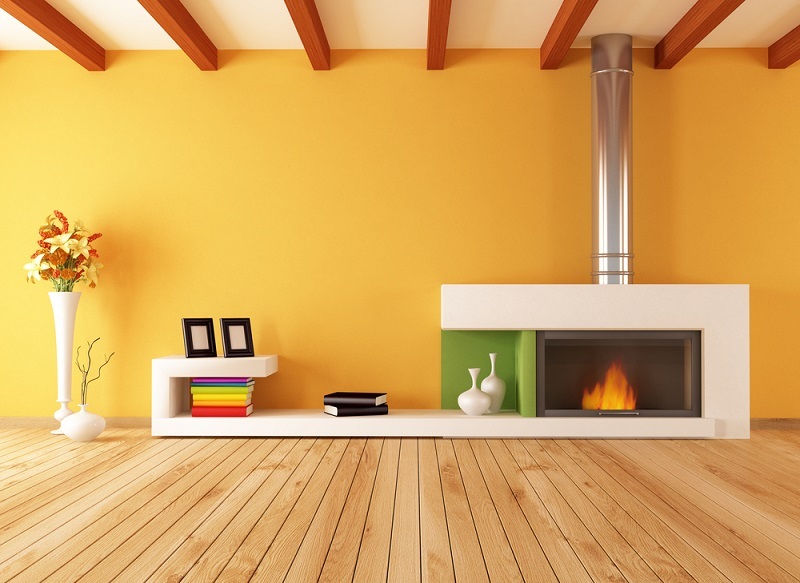 As the name suggests, wood is used as the main source of fuel in these types of fireplaces. Due to the exterior and structural building concerns and due to a limited amount of space available in most of the houses, a wood fireplace is the best option. This is a perfect option for people living in areas where wood are not limited. For the people living in cities, this fireplace may not be practical especially if they have a space constraint. Gas Fireplace: Gar fireplace is much more flexible and easy to install. These fireplaces are devoid of any sorts of combustion or burning and as a result they are environment friendly. These fireplaces are designed in such a manner so that the heat generated in these fireplaces can be easily contained. These fireplaces can be installed anywhere in the house, you can install them next to a window or right in the middle of the room. There are gas fireplaces made of tempered glass, these fireplaces can be exposed on all the 4 sides which create an island like structure which has become very popular these days. However, if you are planning to install a gas fireplace you must have a propane and natural gas connection. Considering the fact that the gas fireplaces do not emit any kinds of toxic fumes, they have become the most popular choices. The fact that they are easy to install and maintain also adds to their popularity. 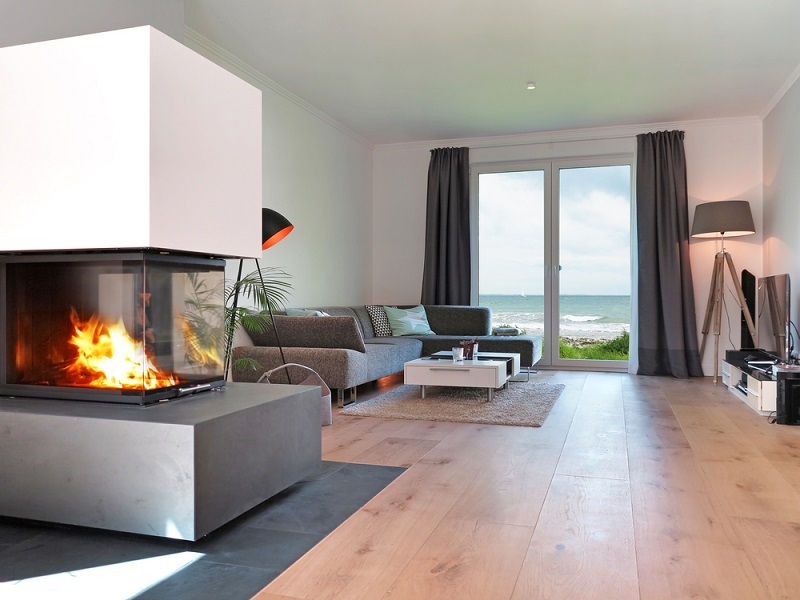 Electric fireplace: These are considered to be one of the most energy efficient fireplace. One of the most common reasons why people opt for these is that there is no smoke. So these can be easily installed even in modern living rooms. These instantly heat the room and look like the traditional fireplaces. So apart from efficient heating solution, these also mimic the elegant fireplace to give a traditional look to your whole setup. There are endless numbers of options available these days, and it is only your imagination that is the limited when it comes to choosing a fireplace. So make sure that you carefully consider your personal needs and only go for the fireplace that is best suited for your specific requirements. Look for the material, cost, fuel and other such details and consider whether it will be practical in your setup. Apart from installation, you also need to take regular care of fireplaces to experience efficient functioning. If you take out time and carefully research about the available options in your area it will help you make a wise decision in this regard. So make sure that you get the right fireplace in your property and stay warm and cozy in coming winters.